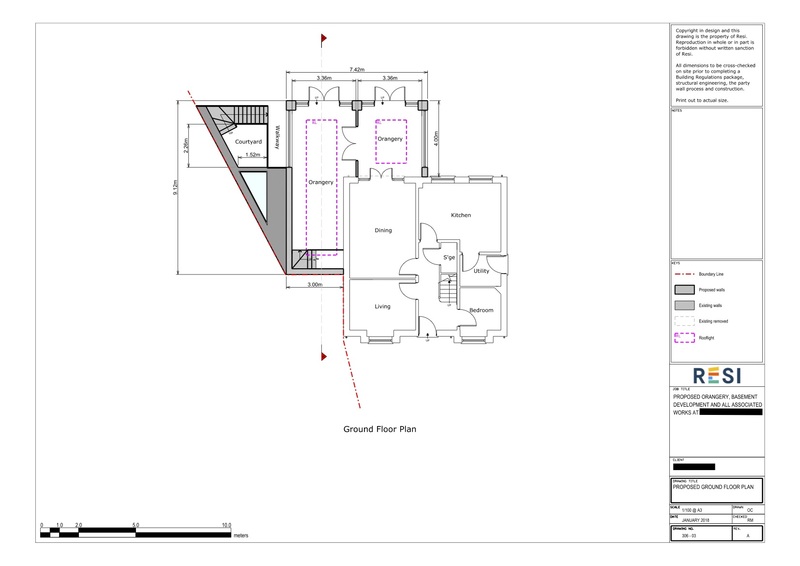 Our client came to Resi with the idea of creating a basement complex, with an orangery on the ground floor above. The result was fantastic chill area - a living room with a bar and dining room attached, an en-suite bedroom, and external courtyard. The ground floor orangery was split into two, because... who doesn't need two orangeries? 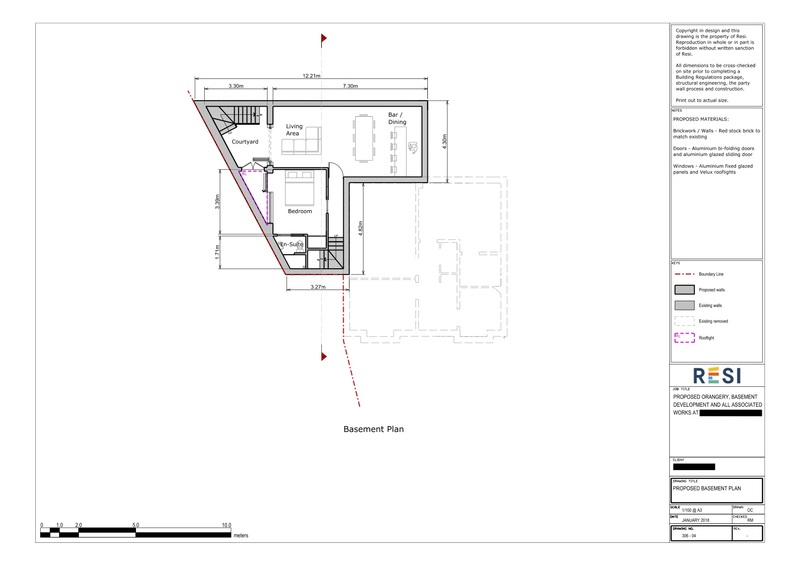 The main requests that the client provided me with was for the creation of a basement complex that had the potential to form a self-contained annex that could be sold on if necessary. This meant that they needed private access to the outside from the basement. They wanted an orangery with a roof lantern and bi-fold doors - split into two, with individual entrance areas. 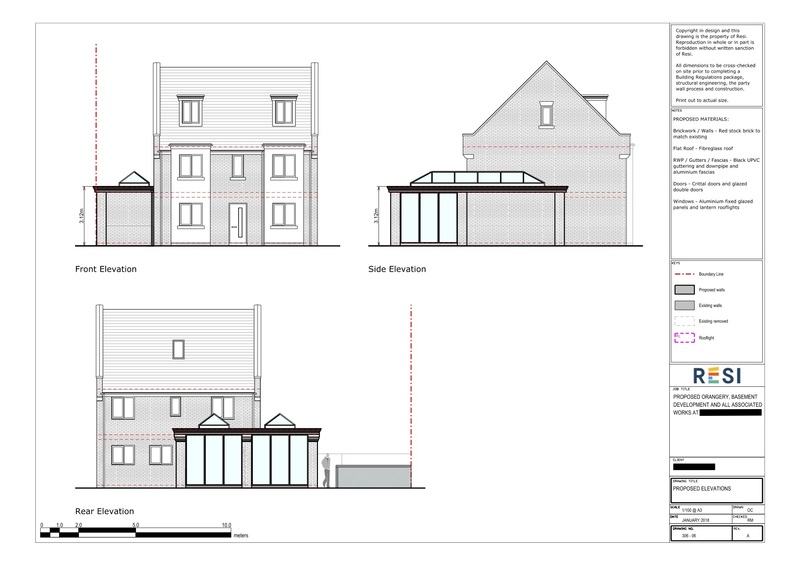 I needed to design a floor plan that entirely separated off the basement, which meant the basement stairs arose to the smaller orangery division, which then led outside. For this basement suite, I created a floor plan that was modern and open plan - a living area with an attached bar and dining space, and a master bedroom. Natural light was let in from the courtyard, a feat that is not always an easy task when it comes to basements. The two orangeries each had a roof lantern, and their own entrances.